I had bought a pair of binoculars at least 10 years back at a garage sale. These were in perfect condition. I had no idea what I would use it for and at the time I was going to many baseball games with my sons. Whenever we had nosebleed seats we would bring them along. It’s not very helpful to look through binoculars while at a game. You miss the action trying to track it down. For the most part they have sat on the shelf in my office for many years. Recently I mentioned we had Robins nest in a pine tree outside our bathroom window. I was able to watch them through the whole process. Nesting, laying the eggs, sitting on the eggs, the hatch-lings, raising their young and finally the young leaving the nest. I began to get curious about the beautiful creatures we call birds. I bought a book on birds in New Jersey. I got my binoculars out and now I am trying to take note of all the birds and their names. I am checking them off in the book and keeping a journal of my bird spotting. But to be sure I check the correct bird name I need my binoculars ….. my eyes are not so sharp anymore, even close up. This morning I went for an early morning walk at 6 am. It happens that is when all the birds wake up and start their day. I was able to spot four different birds on my walk. As I was walking I had an interesting revelation. The birds fly about gather food and enjoy the beauty around them. We humans on the other hand think we need to acquire or make beauty. Spending money on this or that thing. I am not saying that is all together a bad thing but some worry about it way too much. Many feel they need to keep up with the “Jones’s”. If we step back and behave more like birds we will find more peace and harmony in our lives. They care about the basic necessities and worry about taking care of each other. It seems like loving each other is their top priority. They don’t fret about many things. When the chores are done they sit back and enjoy the beauty that already surrounds us. Simply put, the focus should be in making our homes a place of love like the birds do. If we do that then beautiful things in life will become more abundant. And they aren’t things you can buy. Our homes become the beautiful place. 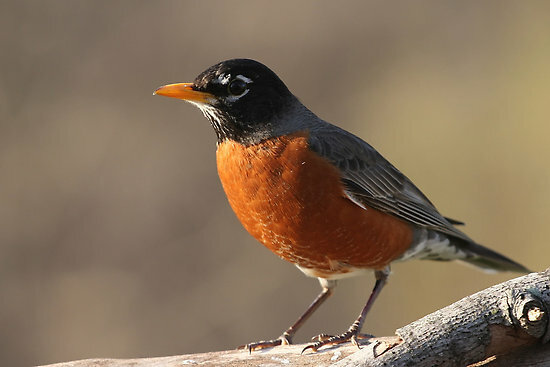 PS: The most common bird in my neighborhood is our tenant’s family, the American Red Breasted Robin. This entry was posted in Love, Observations and tagged beauty, Birds, love. Bookmark the permalink.